Teacups come in all different shapes, sizes, and designs, just screaming to be imitated through knitting! 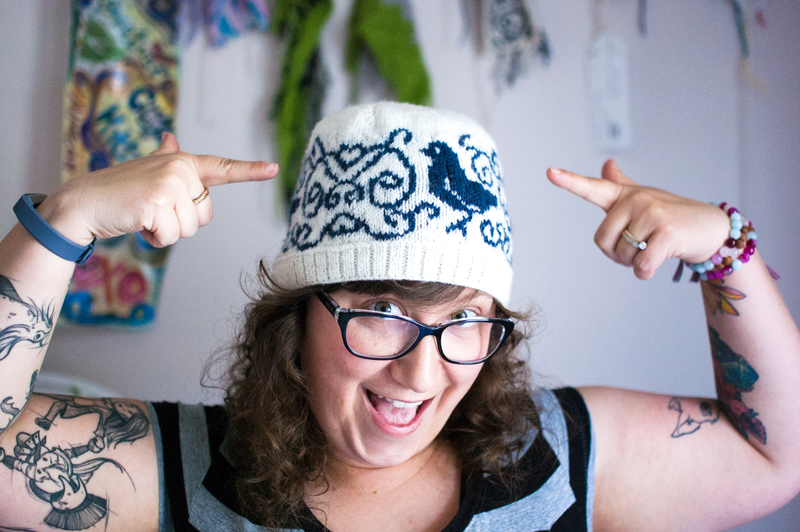 Like the Nice Cuppa hat before it, the Put a Bird on My Cuppa hat is inspired by dainty teacups. 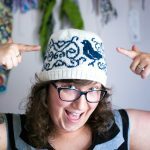 Featuring a complex colorwork pattern of blue and white, you’ll love watching the pattern emerge as you mindfully knit this hat. Remember to prepare your favorite cuppa before sitting down to knit! The hat begins with 2×1 ribbing and a row of purls for flair. The rest of the hat is knit in stockinette stitch, using two colors, following the provided chart. A few rows after the color chart is complete, decreases begin to shape the crown and finish the hat. Next PostNext Live Stream Knitting!